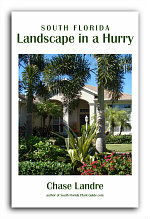 Massive and magnificent, the Canary Island date palm rules the landscape with its aristocratic size and beauty. 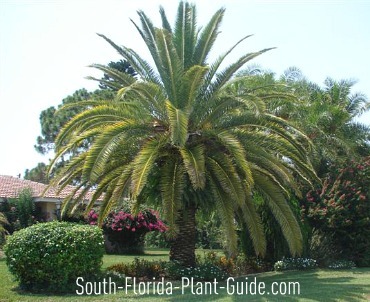 The palm's huge crown of stiff leaves over a thick trunk is best suited for more formal and spacious landscapes. 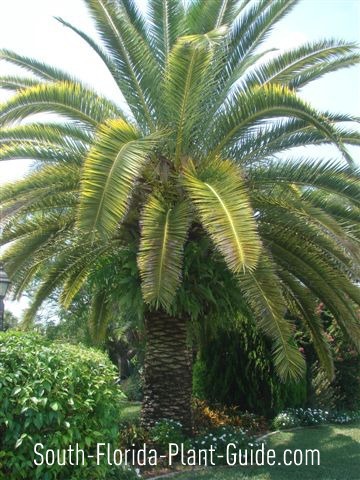 This palm sets off a larger, elegant home - especially nice accenting one with Mediterranean-style architecture. People often call this palm tree "Pineapple Palm." 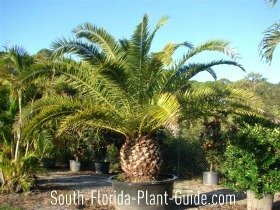 The base has a fat, pineapple-like shape and a crusty leaf scar pattern, more noticeable while the palm is young. 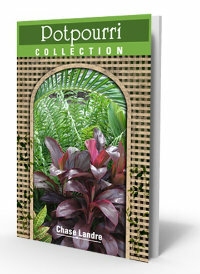 Ferns often germinate in the "pineapple" part as the trunk forms, adding to the ornamental look. 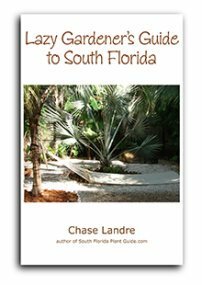 Canary Island date palms can be susceptible to palm weevils that invade the heart of the palm and kill it. BUT - this only happens to stressed palms. Palm weevils are beetles that lay larva (eggs) on decaying matter...they don't attack healthy trees. So if your palm is attacked, it was already sick. 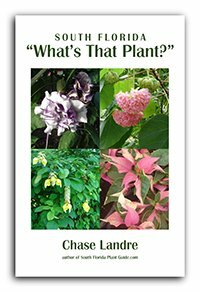 COMPANION PLANT SUGGESTIONS: Dwarf bougainvillea, carissa, cycads like cardboard palm, Panama rose, Knock Out rose, and other sun-loving plants that like it on the dry side.